En route to Kyushu, I paid a visit to Himeji Castle. It was a fabulous castle in many respects, as people point out. Be warned that a renovation work in the castle will start in autumn, 2009, and the tower will be scaffolded from spring, 2010. This castle is one of the only remaining 12 ones in Japan that were constructed in and before the Edo Period (1603 - 1867). 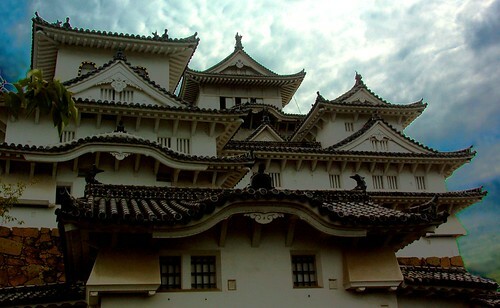 It's one of the so called 'national treasure four castles', along with Inuyama, Matsumoto and Hikone. 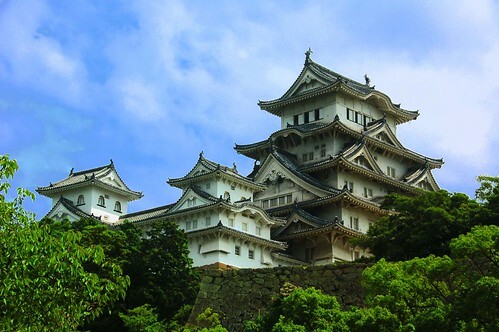 It's often refered to as the best castle in Japan. The fact that this castle wasn't demolished nor was it attcked in the wars so far at all has enabled many of its large and small towers and turrets to be designated as national treasures. Also it was put on the World helitage list in 1993 because of the aformentioned reason. 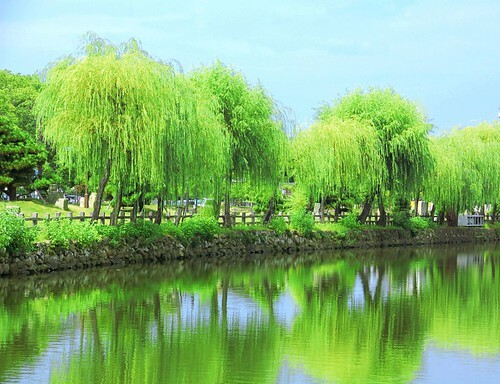 The widely accepted theory is that Sadanori Akamatsu had the castle built in 1346, in the Nanbokucho Period, or the South and North courts Period. 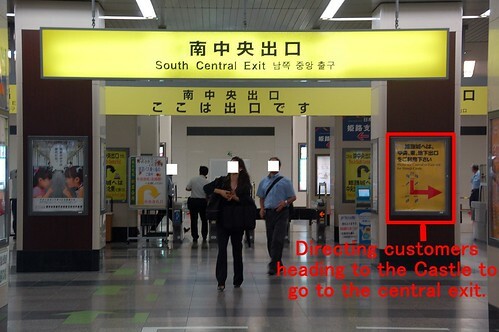 The current Himeji Municipal Government adopts this theory. 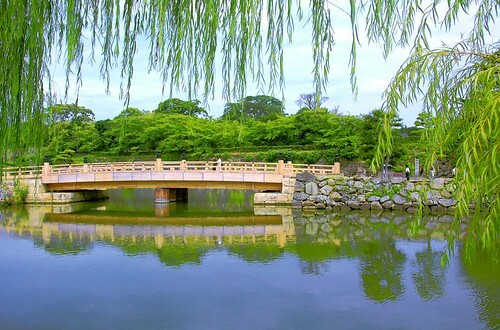 It's definitely a must visit when you come to Japan. 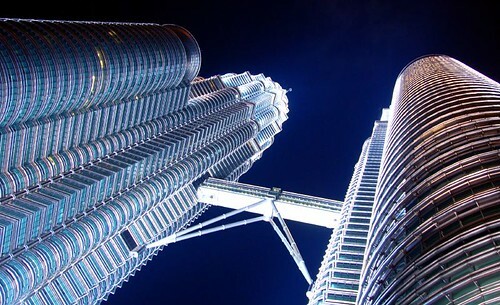 You might allow three to four hours to complete this tour from the station. 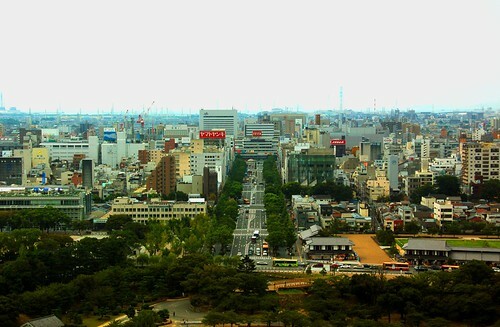 You could walk to the castle from Himeji Station, yet the bus is cheap and comfortable mode of transport. 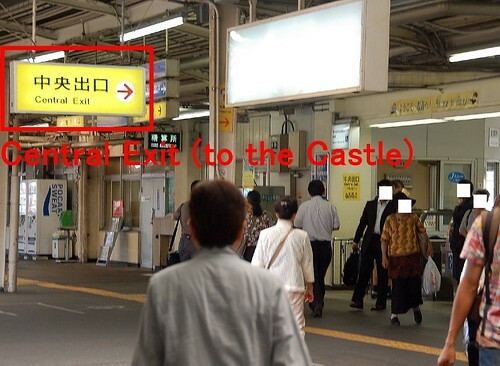 The castle is the second stop, and it costs only 100 yen each way. 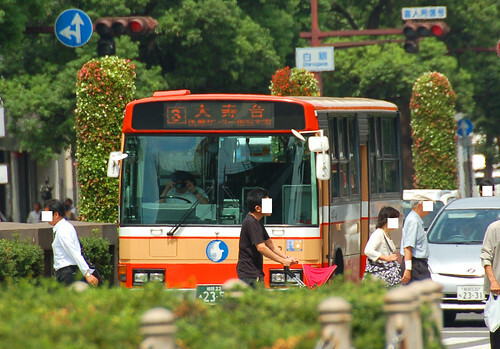 Take this type of bus. The Moat in the entrance area. In summer the authrity recommends you to take a bottled drink with you to avoid dehydration. Indeed I drank quite a lot of water while I went up. 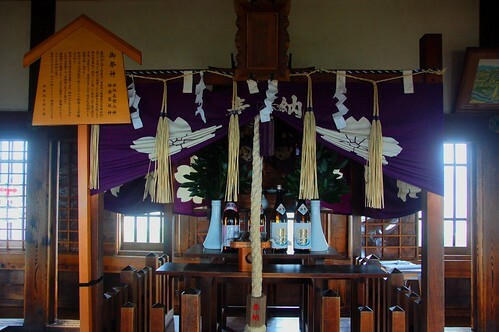 The Shinto altar on the top floor. 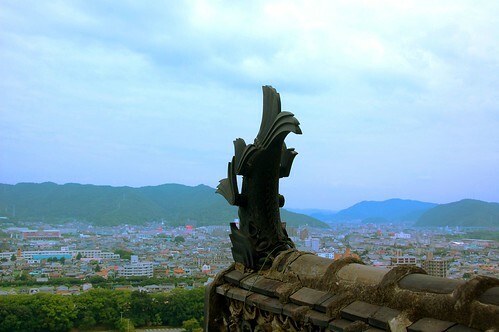 View from the top floor of the tower. Overall it was a great visit for me. I felt the magnificence the castle has stepped in the last seven centuries. I'm now motivated to study the Japanese history much more, together with improving my English proficiency (This is currently my first priority.). 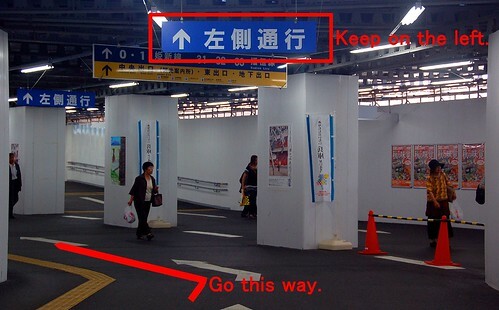 JR Himeji Station is now under renovation, and it's very confusing as to how to get out of the premises correctly. I accidentally exited from the other exit, even though I had used this station several times before. The structure of Himeji Station may have changed a little since because all the tracks have been elevated since last December. This isn't the correct exit. 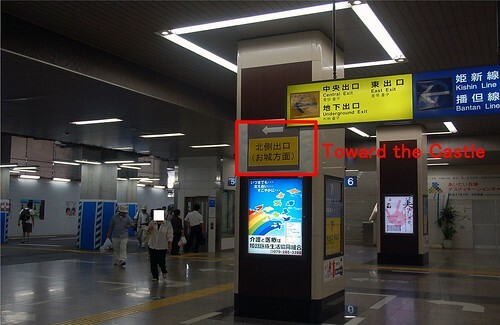 Walk toward the central exit. This is the correct exit.